The 6th edition of Exotic Wedding Planning Conference successfully concluded on August 14th, at Goa, India. It had us of Wedding Mission FabUkMagazine as media partner. 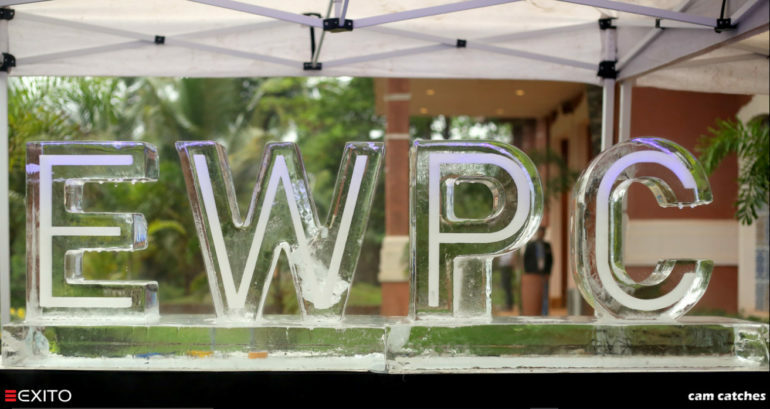 The conference which took place at the Park Hyatt Goa Resort and Spa, Goa was a spectacle of glamour and festivity. The 2-day extravaganza hosted 150+ wedding planners coming together from more than 65 countries under a common roof to connect, collaborate, and celebrate the fraternity. The ‘DAY-1’ commenced with a welcome note by Rishikesh Shetty (Managing Director, Exito Media Concepts Pvt. Ltd.), followed by a session on industry insights with Alison Philips, the Chairperson. She explained the trends followed by the millennials and how the wedding planners can effectively reach to this set of audience by engaging on the Social Media Platform and develop an unpassable personality. Next, a keynote session was taken by Samit Garg focusing on how the venue, décor, food and beverage, hospitality, and entertainment come together to create great experiences. To bring all this together and create an extraordinary experience the wedding planners need to have a perspective and be thoughtful, imaginative, original, and bold. He also focuses on the art of story-telling. Next session was addressed by Sumant Jayakrishnan on “The un/bearable LIGHT/ness of being…” focusing on how the correct lighting in a wedding set-up works wonders. The audience then broke for the focused one-on-one meetings in the meeting area. Two more sessions were addressed before breaking for the luncheon. Serrao Francis Socorro briefed on the “Professionalism in the Event Management industry” followed by a presentation on the wedding Jewelry by C. Krishniah Chetty. The first session post-lunch was taken by Devika Narain who walked the audience through her work and designs and the idea behind them. She focused on how she developed themes and designs based on the things and feelings that were very close to the hearts of the couple. Following her, an experts’ panel initiated discussion on “In a world of online vendor directories, how do wedding planners manage their clients?”, and invoked open dialogue among the audience taking up questions and solving queries. The second day of the conference was commenced with Priya Shah deliberating on “Growing your wedding planning business using Pinterest.” She focused on how Pinterest could be used to the advantage with all the material and designs it has from the worldwide audience. Taking this ahead, next up, Nadia Duran explained how technology could be used to gain business momentum. She stressed how to intelligently benefit from the Social Media Analytics (esp. Instagram) and go hand in hand with technology updates. She also explained how bridging analytics with the right kind of engagement could contribute to achieving better results. In his session, Elie Berchan, enlightened the audience on How to recycle your decorative items while preserving their quality? This is a great move towards preserving ecological balance by reducing the waste generated from the weddings industry. After this session, the audience aligned for the speed networking session. An experts’ panel discussed on ‘Managing wedding planning logistics’ and stressed on busting the pain points in logistics to have a seamless execution of weddings. The panelists kept the audience gripped with their intense and engaging discussion. Just before breaking for Lunch, Rituraj Khanna, known for planning and executing stellar destination weddings disclosed the “tricks of the (destination weddings) trade”. It was indeed an interactive session with the King of Weddings. Post-Lunch Amit Dabke drew insights on the “Blue Ocean Strategy” in the context of the wedding planning industry. He speculates the results that could be achieved by adopting this strategy into business decisions. After the intriguing and engaging learning sessions, it was time to relax and have some fun with the Yoga and Zumba activities and loosen up a bit. The last two sessions of the second day of the conference were a Panel Discussion on “Change in attitude towards weddings by families across 2 tier cities”, and a session on the concept of design & décor by Chris Stephenson. The day ended on a high note with a laid back sheesha set-up where the attendees could unwind and relax before returning back to their usual routines and life.